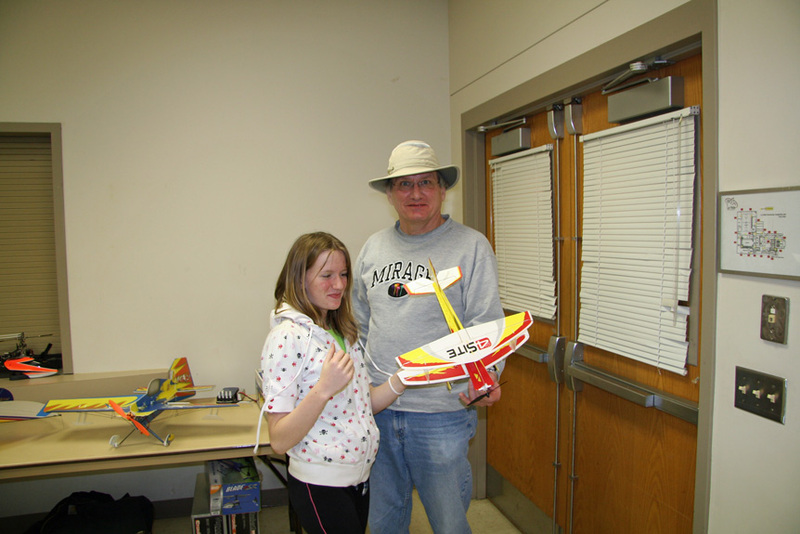 Nick Kmezich and daughter Katie shown here with his new Mini 4-Site Bi-plane. 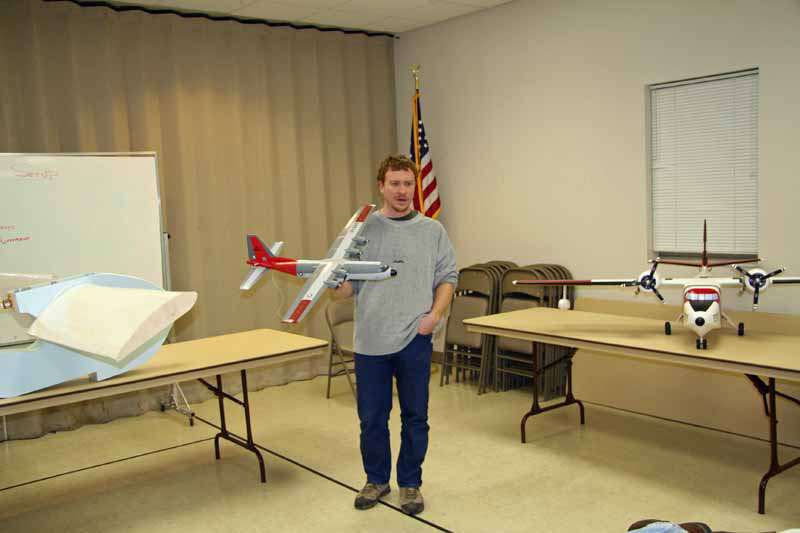 This is the latest miniature plane made by E-flight and the first to be able to do 3-D flying. 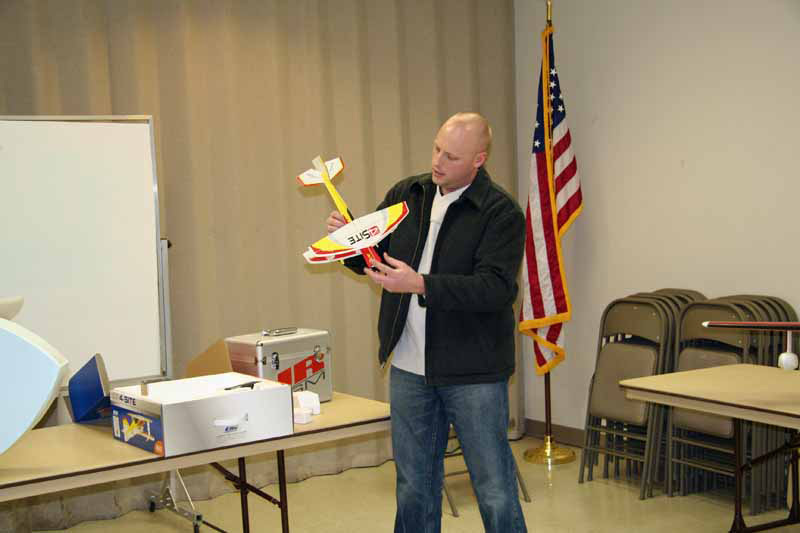 Several of our members have purchased this plane from Hobbytown in Irvington and it flys quite well. 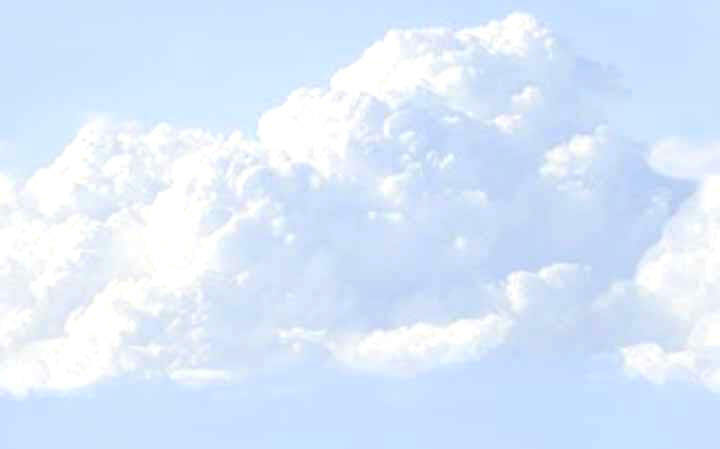 It can do all the 3-D maneuvers plus knife edge, rolls, inside and out side loops etc. 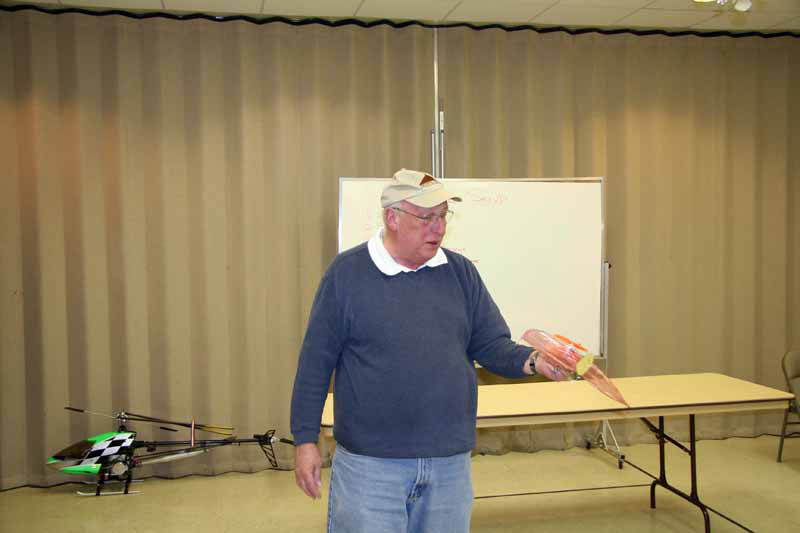 For the program Tom Egbert explained how to set up a new or rebuilt helicopters. 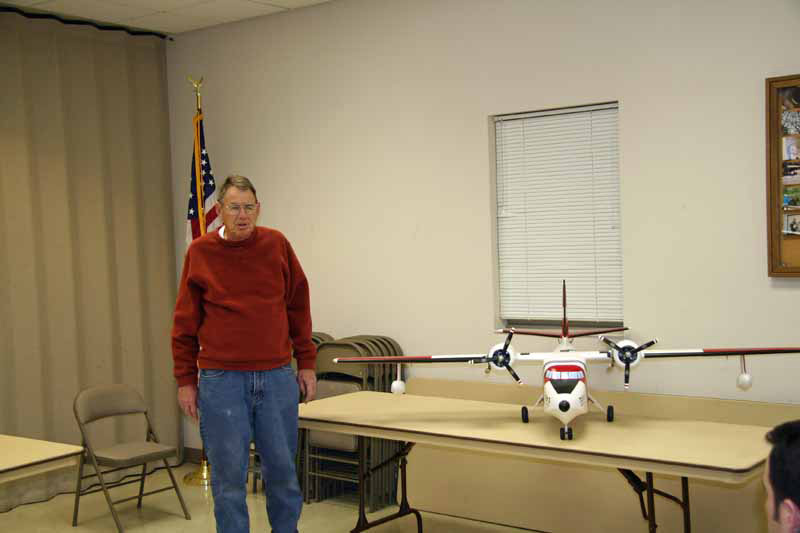 Ed Splittgerber brought his HU-16e Albatross with 84" wing, 14.75 lbs. and 2 - OS FS-52 4-stroke engines. 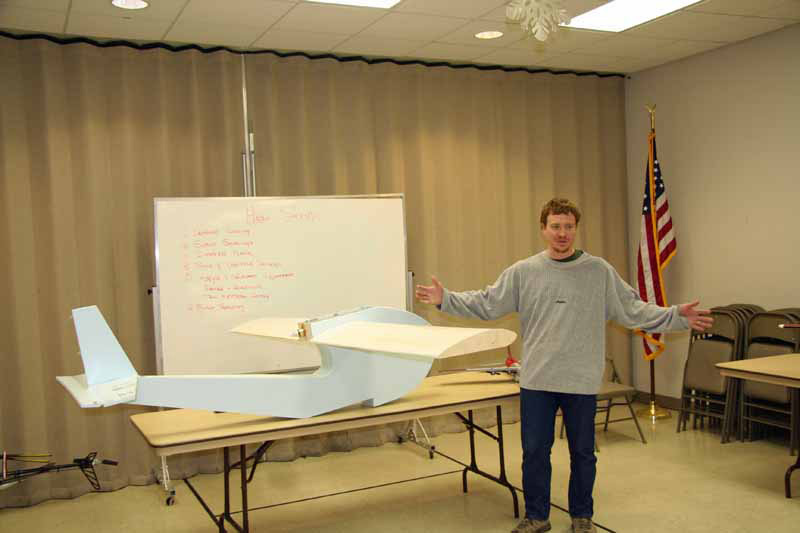 Larry Bailey brought his scratch built 14" Mini IFO that weights 21 grams. It uses SU-26 parts and .040 carbon fiber rods. Fred Tuckerman built a huge foam "Super Frog". 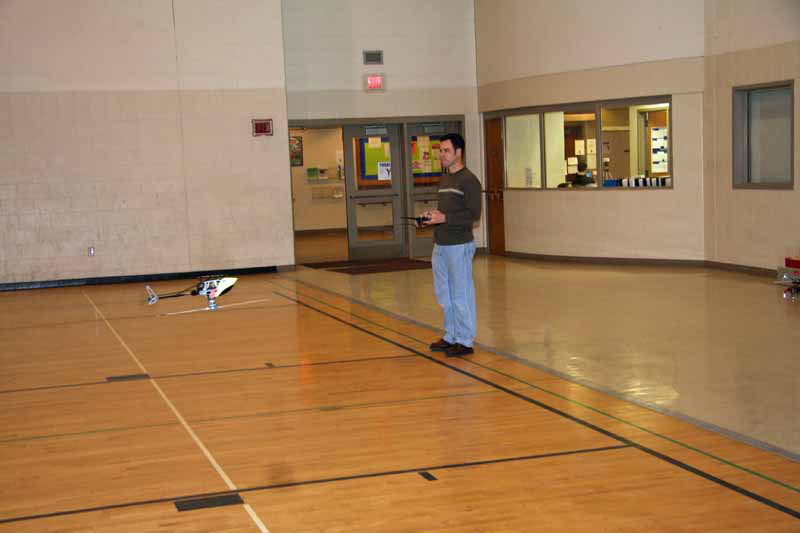 It has 3 channels, 96" wing, Turnigy 4240-900 motor, 40amp ESC. Fred Tuckerman's www.gravityhobby.com C-130 ARF with 9 gram servos. Brett Grell is another club member that purchased the new Mini 4-Site. 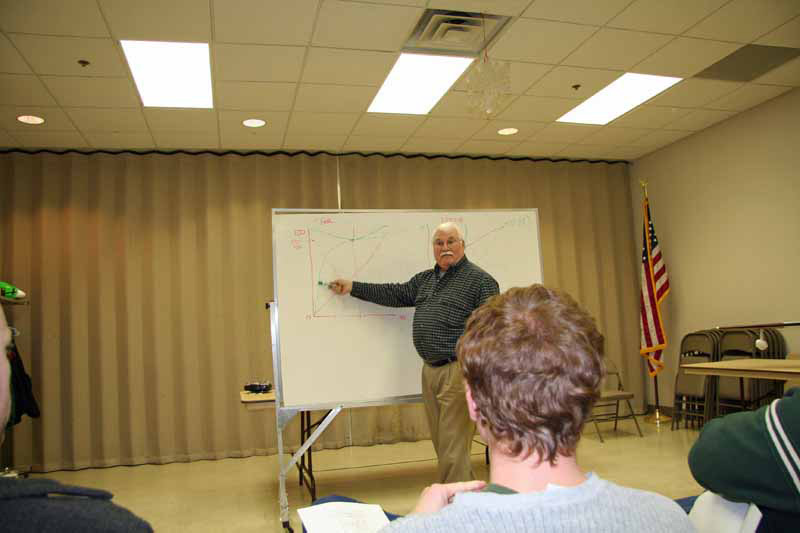 Brett demonstrated how quick it could do maneuvers after the meeting. 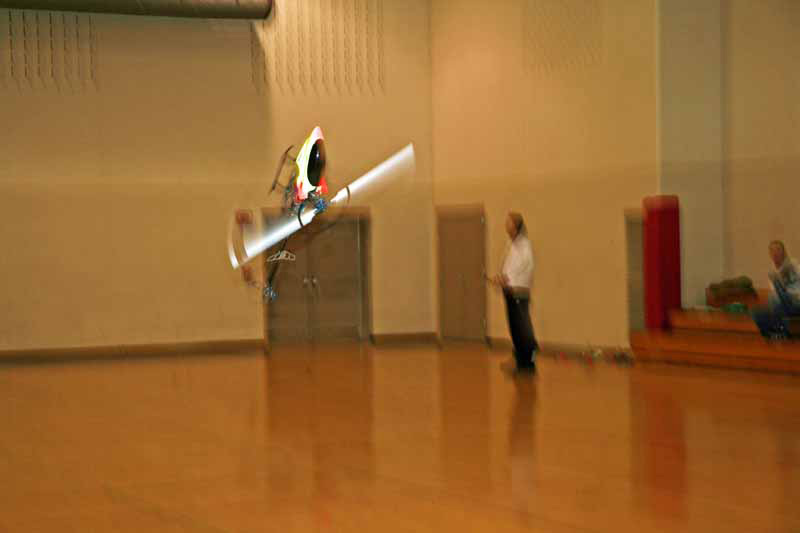 Here is John Schenck flying his heli inverted after the meeting. 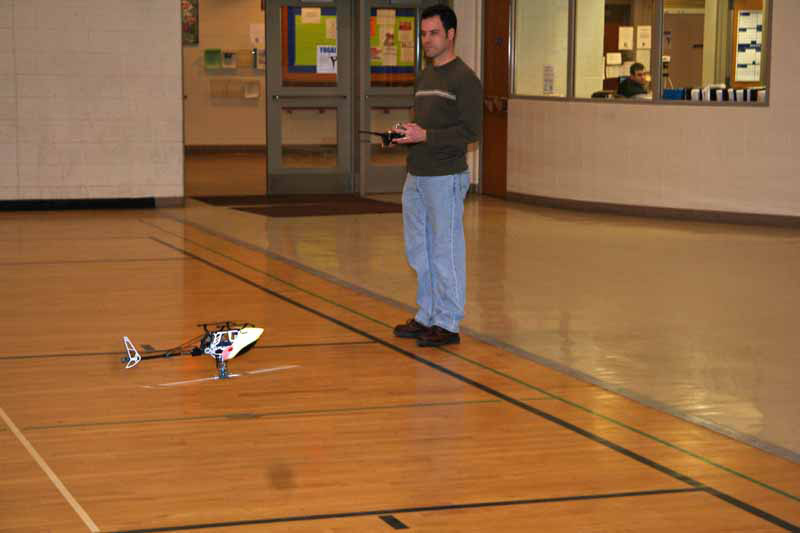 Another shot of John flying his heli inverted. Here is a shot of John flipping his heli over from inverted to upright.